Chartering a yacht with a Jacuzzi spa can offer the ultimate experience on the water, even to the most discerning charterers. Feeling the water jets massage your muscles while overlooking the bow of the yacht and the ocean beyond is the ideal full-body and mind therapy. Getting lost in the warmth of the water and leaving stress behind you can be one of the most cathartic experiences on a yacht. 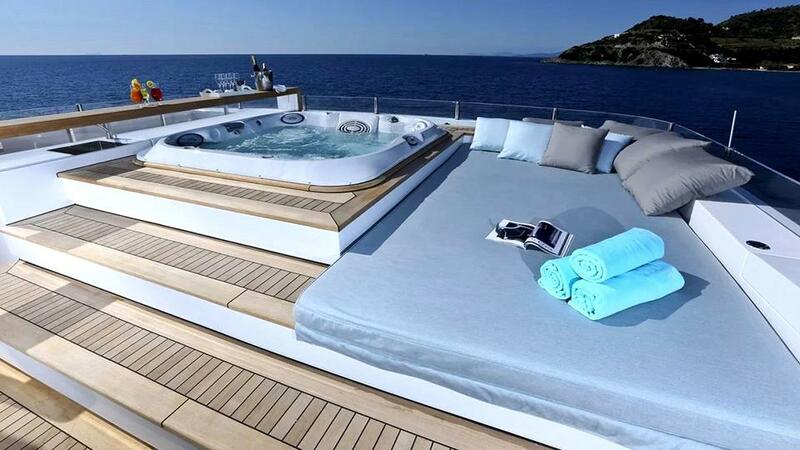 Sailing yachts commonly feature Jacuzzi’s, either on deck or below, where the tender garage doubles as the hot tub. Deck space can be limiting for such a luxury aboard a sailing yacht, but the yacht designers of today are creative, and have found ways to make it work. Lounging in the warm bubbly water of a sailing yacht with a Jacuzzi, with the wind whispering on your face is an invigorating experience. With more deck space than sailing yachts, larger mega yachts often feature Jacuzzi’s that are raised on deck to offer 360-views of the ocean. 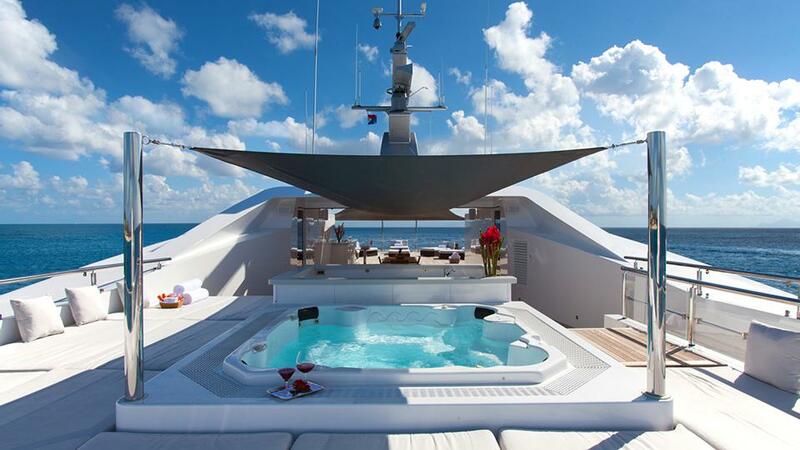 Some mega yacht designers are crafty with their work, and can combine a Jacuzzi and bar on deck. This makes it more of a social gathering spot than just a place to unwind; this kind of set-up will likely be the main area where guests relax and socialize. 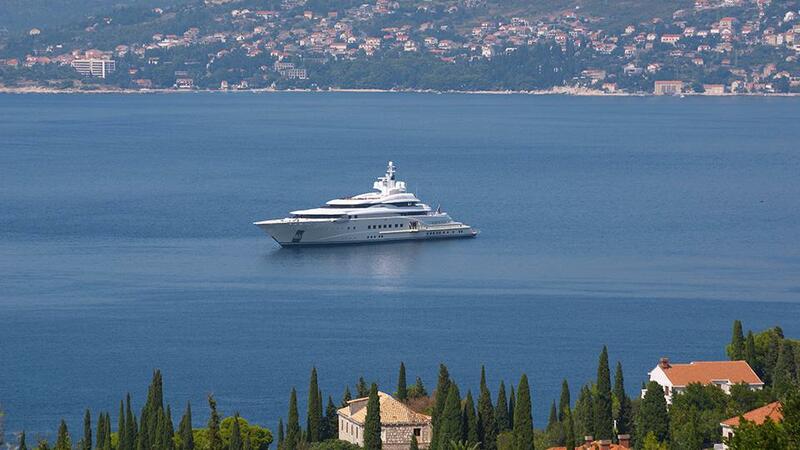 Because of their sheer size, gigayachts can have up to 6 decks, offering a lot more space to work with. 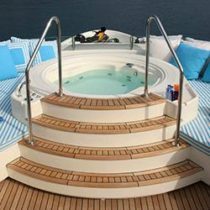 Depending on personal choice, a Jacuzzi here may accommodate up to 12 guests, allowing the entire charter party to socialize together. These oversized spa tubs may also double as a pool. 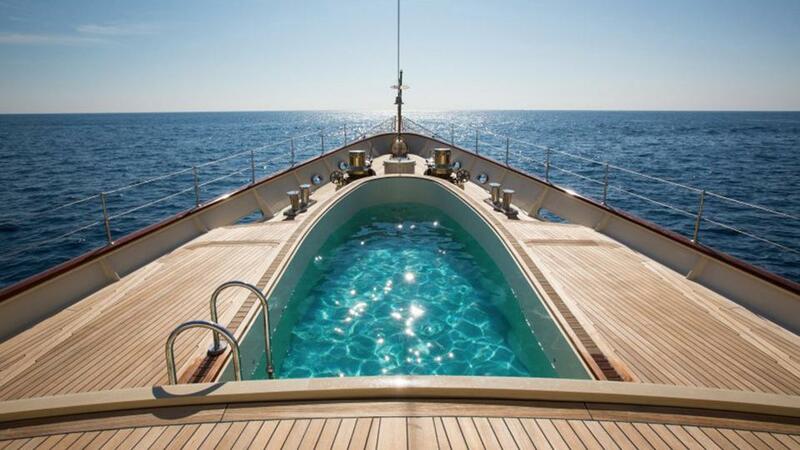 A yacht with a pool may seem extravagant, but then again, we are talking about yachts well over 300’ (91m). Some gigayachts feature a lap pool, where users can adjust resistance on an artificial current, resulting in a rigorous workout. Yachts offer endless luxuries and unimaginable experiences. In addition to a yacht with a Jacuzzi, some of the most popular yachts today might feature a Triton submarine, with which you can dive as far as a mile underwater and watch the fish glow from the comfort of your seat. 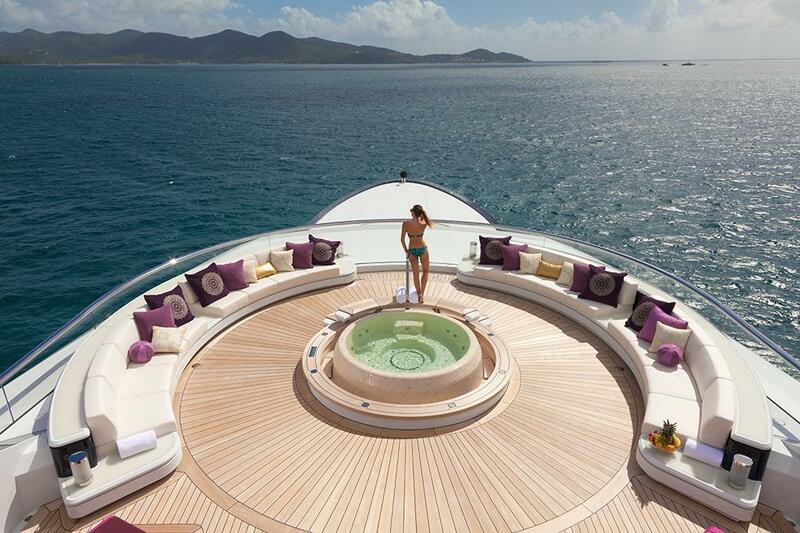 What is your idea of the ultimate yacht amenity? The yachting experts at Merle Wood & Associates are well-versed in yacht sales, marketing, charters, and trends, which makes their clientele the most well-informed and prepared yacht owners and charterers in the market today. We focus on more than just the traditional role of the sales and charter agent, we’re dedicated to enhancing the yachting lifestyle and increasing the enjoyment and quality of life for every client we serve.